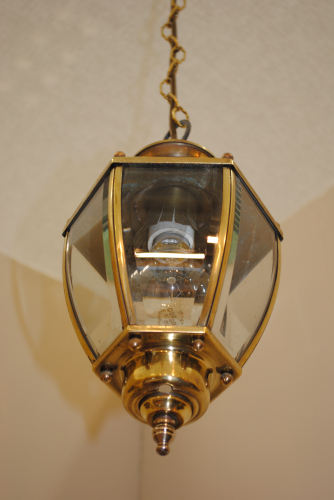 Pretty small hexagonal French lantern from the 1940`s. Certified and in perfect working order. Lantern itself measures 32 cm high by 18 cm wide.